And just like that…school is back! I believe back to school time is cause for celebration (both kids and parents alike). 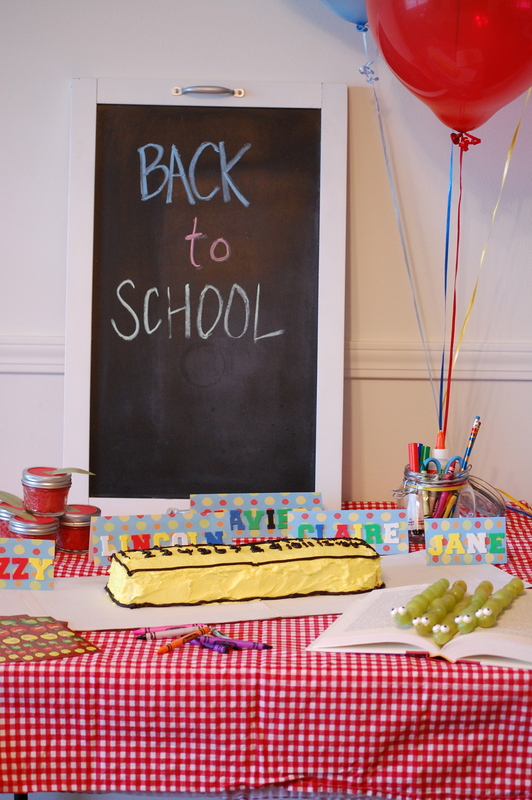 This year, we invited our nieces over for a little soiree to get in the back to school spirit. 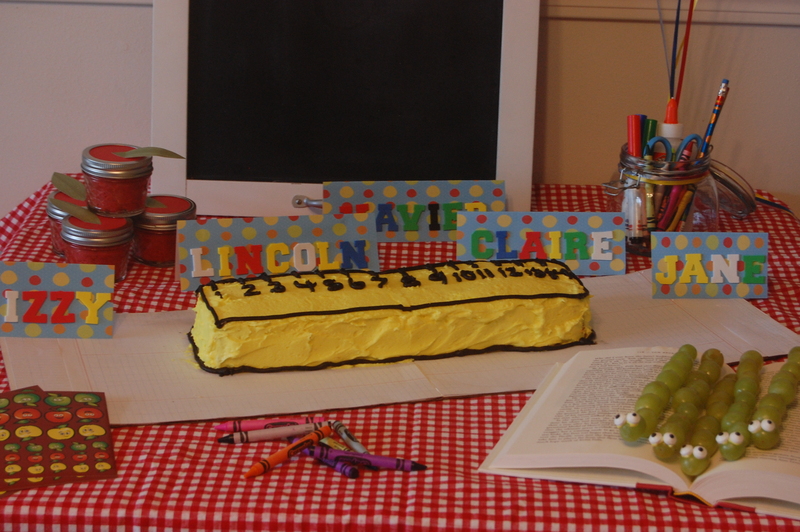 The kids chanted “back to school is cool” while they indulged in book worms and ruler cake. And what is a party without a favor! 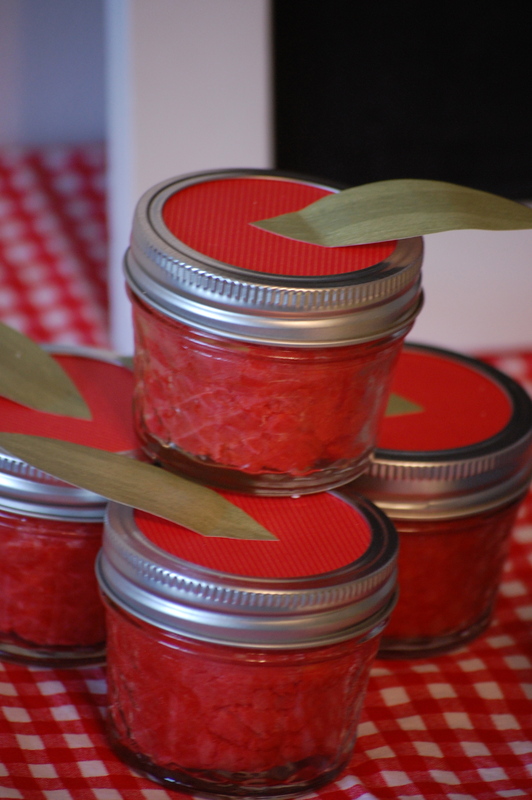 We made homemade red play dough and created little apple play dough favors using mason jars. Stay tuned to Haute Apple Pie for a great homemade play dough recipe! 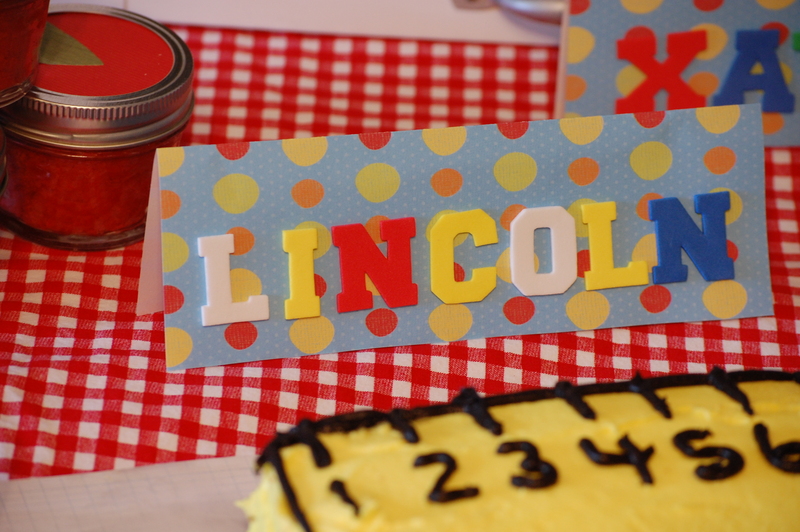 Lincoln helped me put together name tags for everyone (even the littles who aren’t going to school, because they get to celebrate too right?) with foam letter stickers from Joann Fabrics. 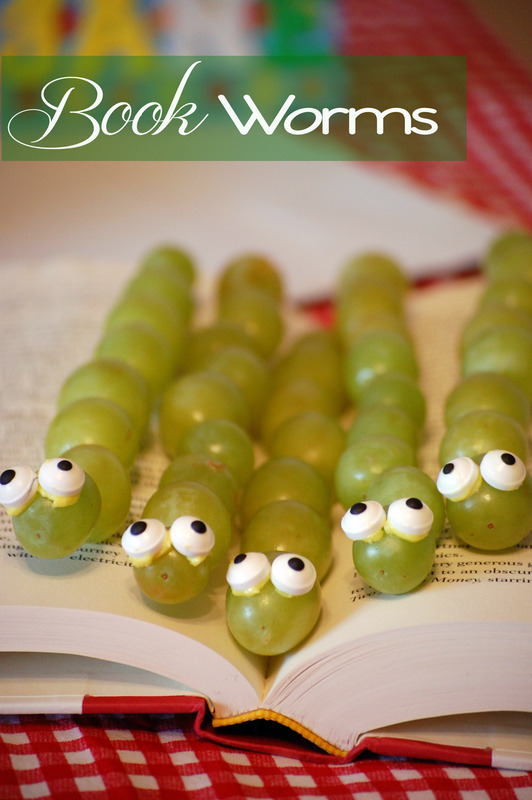 We placed green grapes on plastics skewers and affixed candy eyes with leftover frosting from the cake to make book worms. These were a big hit! 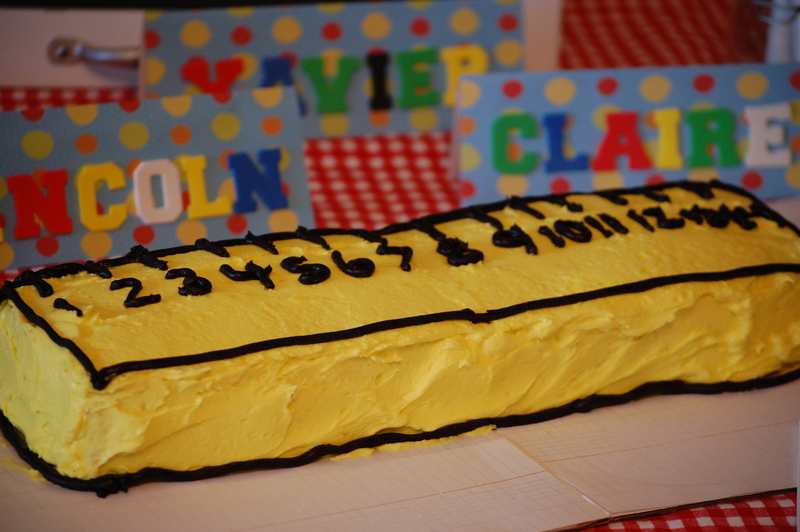 I didn’t want to make too much work for myself, so I created this ruler cake simply by frosting two pound cakes. This happy guy is all ready for his first day at his new school! 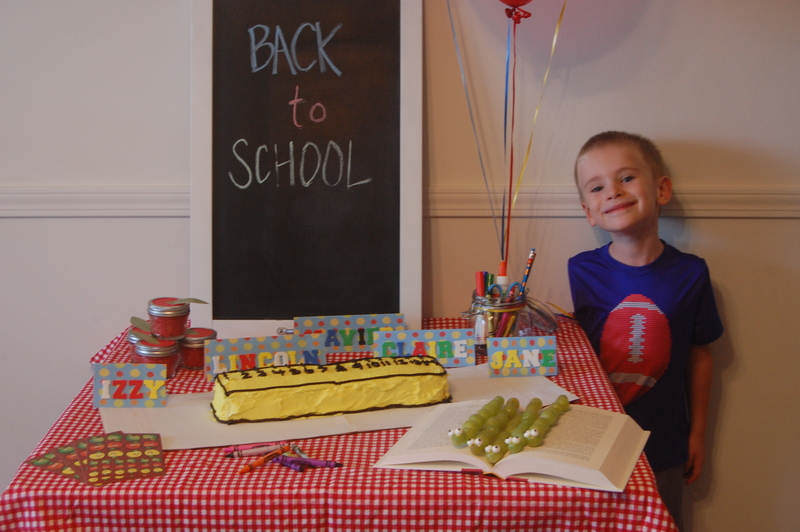 Wishing all the kids and parents out there the happiest of back-to-school as well!